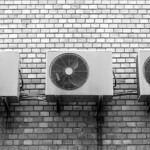 Here at PAR Services, we’re proud to be able to offer our clients a history in the air conditioning and refrigeration business which can be traced way back to 1986. So, each and every customer we serve can expect a professional approach to even the most challenging of technical tasks. We offer our services seven days a week and twenty-four hours a day. Whether you have a sudden emergency or if you simply require timely maintenance, we will meet and exceed your needs. While the expertise of our professionals does indeed speak for itself, we also pride ourselves on the customers that we have worked with in the past; some of which are highly respected throughout the United Kingdom. We will take a look at four such brands below. As you are likely already well aware, Best Western is an extensive chain of hotels that may very well be the most recognised throughout the United Kingdom. With such a vibrant industry, their needs are understandably varied. Whether servicing an air conditioning unit during the summer months or replacing the compressor on a refrigerator, PAR Services is never far away. Formed in 2006, Principle Hayley is quickly becoming one of the most respected hotel and conference venue operators in the country. As some of the events that are held can be truly massive, their refrigeration and air conditioning demands are extremely challenging. Although Principle Hayley is located in North Yorkshire, we service a number of their satellite locations and we are quite happy to have established a working relationship with this growing organisation. Kingspan is perhaps the most respected construction conglomerate in the United Kingdom. With areas of expertise that range from insulation and solar panels to engineered timber systems and environmental projects, Kingspan can address any number of construction concerns. As a result of this, working with this firm has allowed us to expand our operations further while simultaneously providing them with bespoke services that can address challenging projects. For anyone who is a fan of music, the O2 Academy is certainly a familiar name. As they have numerous locations throughout the country, this venue is host to a number of well-known bands throughout the year. 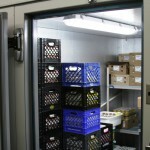 Catering to thousands of customers at any one time, it is no secret that their demands for reliable refrigeration and air conditioning are varied and numerous. PAR Services is happy to provide O2 Academy with only the most robust of technical aid; allowing even the largest concert to be enjoyed by all. With a growing list of prestigious clients to our name, we have a demonstrable ability to handle even the largest and most complicated of work here at PAR Services. For further details on how we can help your business with its HVAC or refrigeration needs, simply get in touch with us either by phone or email.